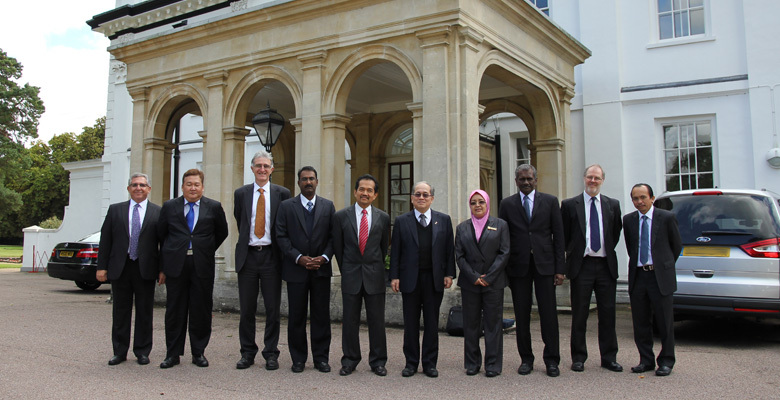 On Wednesday 18th September 2013 TARRC was pleased to welcome the visit of the new Malaysian Minister of Plantation Industries & Commodities, YB Dato Sri Douglas Uggah Embas and a small delegation to its laboratories at Brickendonbury, Hertford. The Minister was welcomed by Datuk Dr Salmiah Ahmad, Director General of the Malaysian Rubber Board and Chairman of TARRC and was then given a briefing by Dr Kamarudin Ab-Malek, TARRC's CEO, regarding TARRC's historical and future contributions to the Malaysian rubber industry and the world. The Minister was taken on a tour of TARRC's laboratories and was given a briefing on many of the areas of work by TARRC's Director of Research, Dr Stuart Cook, including analytical, tyre technology, engineering design and biotechnology. 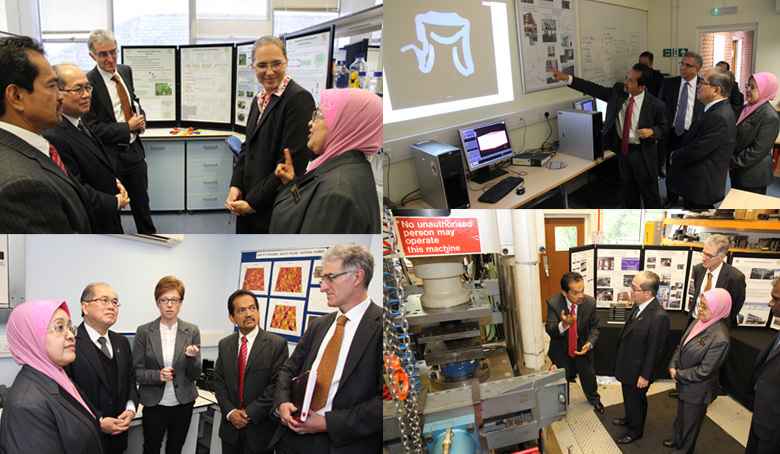 Above top left clockwise: Datuk Dr Salmiah Ahmad in the Biotechnology laboratory with Unit Head Dr Maria Kolesnikova-Allen, Dr Kamarudin Ab-Malek, TARRC's CEO highlights some FEA applications in the Engineering Design Unit, also Dr Kamarudin Ab-Malek shows a demonstration of how a seismic bearing is tested, and Dr Anna Kepas-Suwara explains some of her work on blends to YB Dato Sri Douglas Uggah Embas. Above: The delegation at TARRC, Brickendonbury, Hertford.